Assistant Prosecutor David Morrison and Investigator Fred Meadows listen as Defense Attorney Peter Certo gives his closing arguments to the jury. Anna Bolton | Greene County News Julie Deyo, daughter of Linda Deyo and the late Raymond Deyo, in tears, reaches for a hand as the verdicts are read Jan. 31 in Greene County Common Pleas Court. Della Ison and Wendy Harlow wear “Justice for Ray Deyo” shirts as they wait for the the jury to come back with verdicts. Defense Attorney Peter Certo and defendant Kathy Smith listen as Clerk of Courts AJ Williams reads the jury’s five verdicts alongside Judge Stephen Wolaver. XENIA — A Greene County jury found a Xenia woman guilty Jan. 31 in the 2016 OVI-related crash that killed a Bowersville man. After fewer than three hours of deliberation, Kathy Smith, 65, received five guilty verdicts: two counts of aggravated vehicular homicide, second- and third-degree felonies; two counts of aggravated vehicular assault, third- and fourth-degree felonies; and operating a vehicle under the influence of alcohol, a first-degree misdemeanor. According to Assistant Prosecutor Cheri Stout, Smith is facing mandatory imprisonment: two to eight years for the first count of aggravated vehicular homicide and one to five years for the first count of aggravated vehicular assault. Those counts also require license suspension, three years to life. A sentencing date has not yet been set. The family of Raymond Deyo, 68, who died as a result of the two-vehicle Aug. 27, 2016 crash on Hussey Road in Caesar Creek Township, said justice has been served. In a crowded courtroom, members of the Deyo family waited for the verdicts. Some wore green “Justice for Ray Deyo” shirts. Others held hands. They had been there for every minute of the four-day trial. As the verdicts were read, they embraced each other, put their heads in their hands, and cried. Earlier in the day, attorneys presented their closing arguments to the jury. Defense Attorney Peter Certo told the jury the accident was not the result of recklessness. In the last few minutes with the jury, Stout put a slide on the overhead with two words: Yes, wine. Now that the case has come to a close, there’s one way Linda Deyo wants her husband to be remembered. 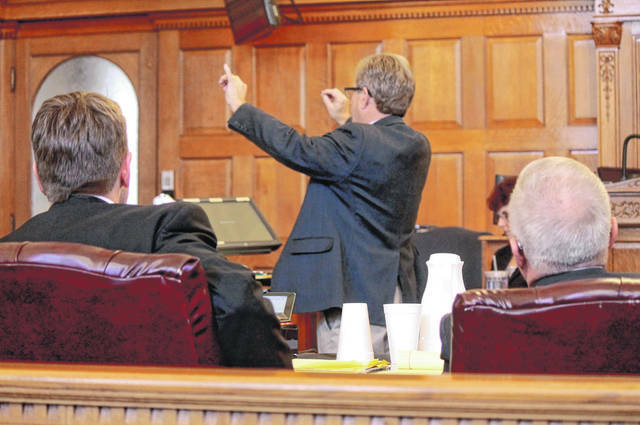 https://www.beavercreeknewscurrent.com/wp-content/uploads/sites/49/2019/02/web1_Certo.jpgAssistant Prosecutor David Morrison and Investigator Fred Meadows listen as Defense Attorney Peter Certo gives his closing arguments to the jury. 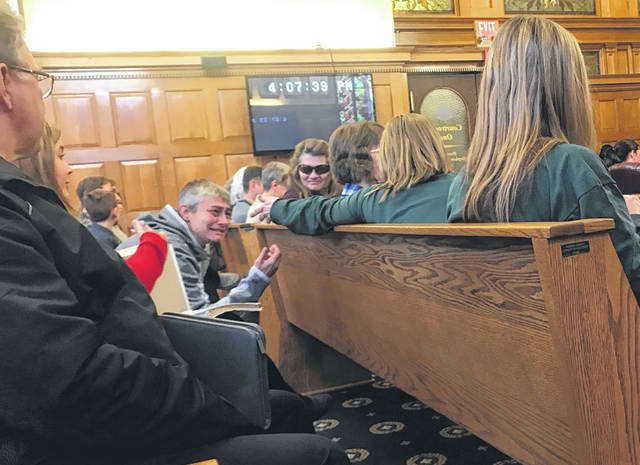 https://www.beavercreeknewscurrent.com/wp-content/uploads/sites/49/2019/02/web1_DeyoDaughter.jpgAnna Bolton | Greene County News Julie Deyo, daughter of Linda Deyo and the late Raymond Deyo, in tears, reaches for a hand as the verdicts are read Jan. 31 in Greene County Common Pleas Court. 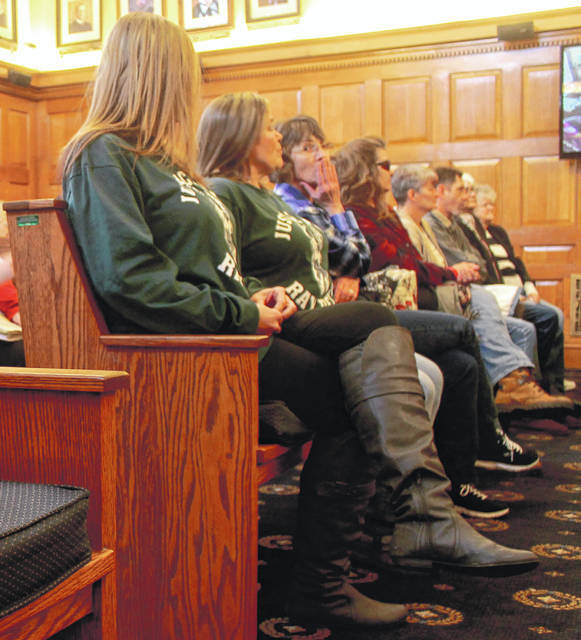 https://www.beavercreeknewscurrent.com/wp-content/uploads/sites/49/2019/02/web1_Justice.jpgDella Ison and Wendy Harlow wear “Justice for Ray Deyo” shirts as they wait for the the jury to come back with verdicts. 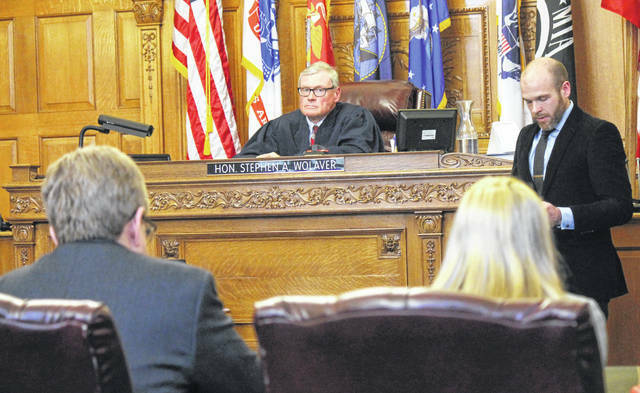 https://www.beavercreeknewscurrent.com/wp-content/uploads/sites/49/2019/02/web1_Verdicts.jpgDefense Attorney Peter Certo and defendant Kathy Smith listen as Clerk of Courts AJ Williams reads the jury’s five verdicts alongside Judge Stephen Wolaver.